Anti-cut kitchen glove in stainless steel chain mail. 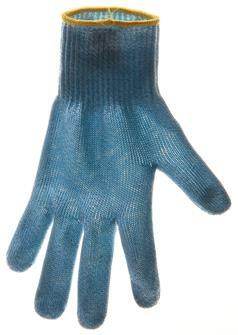 Different sizes of gloves for every size of hand (sizes 5 to 10). 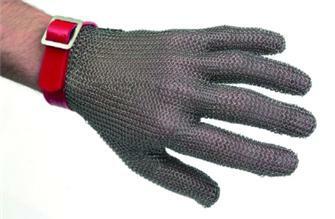 Chain mail stainless steel mesh glove size 10 (XL) with tightening wristband. It protects your hand from cuts when chopping meat or boning ham..
Chain mail stainless steel mesh glove size 9/9.5 (L) with tightening wristband. It protects your hand from cuts when chopping meat or boning ham..
Chain mail stainless steel mesh glove size 8/8.5(M) with tightening wristband. It protects your hand from cuts when chopping meat or boning ham..
Chain mail stainless steel mesh glove size 7/7.5(S) with tightening wristband. It protects your hand from cuts when chopping meat or boning ham..
Chain mail stainless steel mesh glove size 6/6.5 (XS) with tightening wristband. It protects your hand from cuts when chopping meat or boning ham..
Chain mail stainless steel mesh glove size 5/5.5 (XXS) with tightening wristband. 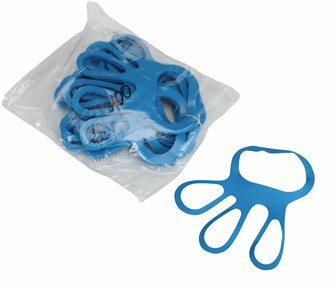 It protects your hand from cuts when chopping meat or boning ham..
Anti-cut protective glove Size 7 - blue piping. Anti-cut protective glove Size 8 - green piping. Anti-cut protective glove Size 9 - red piping. 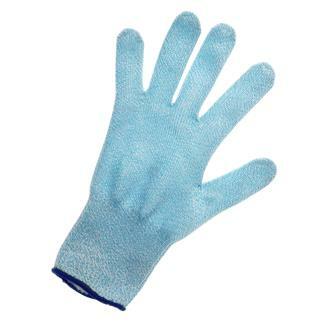 Protective glove size 6 with yellow piping.